The base kit includes a mount and stand, and fisheye, "super-wide," and 15x macro lenses. "Ultra-wide" and 2x telephoto lenses are sold separately. 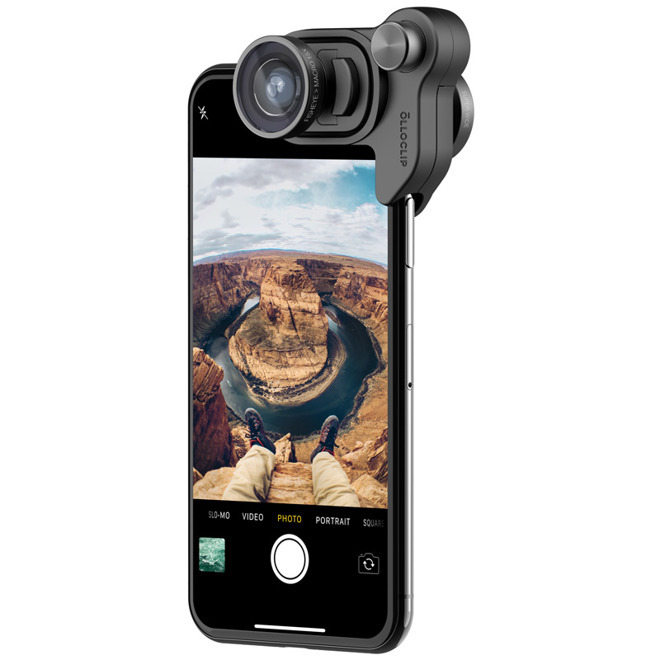 The mount doesn't require a special case, and supports the iPhone X's front and rear cameras simultaneously. If people do want a case though it must be Olloclip's specific model, and the mount obscures the phone's TrueDepth camera —meaning owners will have to log in with a passcode, or only attach the mount after logging in with Face ID. Users must also shoot without flash, and can't attach any older Olloclip lenses. 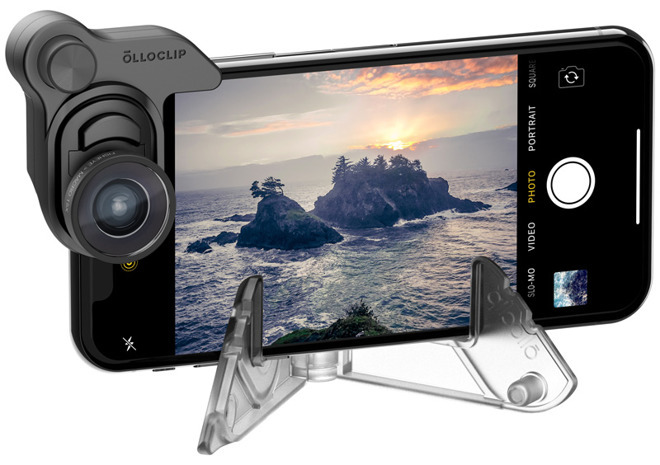 The base kit costs $99.99, and is currently being sold through Olloclip's website as well as Amazon. Apple stores will begin offering the product in June. The case is $29.99, and extra lenses are typically $59.99, the exception being the $79.99 2x telephoto. By default the rear camera on the iPhone X is equipped with wide-angle and 2x telephoto lenses. The front is limited to a single lens, intended for selfies and FaceTime. Update: A PR representative for Olloclip reached out to AppleInsider to clarify that the TrueDepth camera is only obscured if a front-facing lens is installed.